Shavua Tov! It's a new week! As usual we're going to get the week started off with a bang! Sunday Night Live this week will feature Naftali Abramson - live from Studio "G" (which stands for Gevaldt!) - 8:00 PM - 11:00 PM -- brought to you by BE THERE ISRAEL - When your simcha or event is here (Israel) and your friends, family and colleagues are there (The Whole Wide World) - we can bring the simcha to them, and that way bring them to you. BE THERE ISRAEL - live streaming video, just like you see on Radio Free Nachlaot -- that's right, you can watch us on the radio!!!! Far out!!! There's a whole lot more going on this week - so stay tuned! 9:30 AM - we'll play George's first Solo Album - All Things Must Pass, and then there'll be more george off and on all day. Yes, it's almost Shabbos. Hayom Yom Revii baShabbos. We actually start wishing each other Good Shabbos, Good Shabbos on Yom Revii. It's in the daily psalm, as well, "Lchu Nerannena L'Hashem, Nariya Ltzur Yisheinu." But don't you think that the week is over 'round here. No Siree Bob! (btw, who is Bob, anyway?) We are just getting started. What's still ahead, you say? 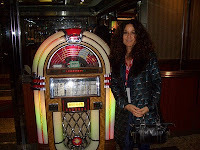 Wednesday - 9:00 - 11:00 PM - DJ MAYA brings her radio consciousness (her "radio head") to the airwaves for a different kind of show -- Maya at almost Midnight. Join her as she takes us into the world of music like only Maya can! and then at Midnight - R' Yitzhak Marmorstein and Greg Wall and the Later Prophets, "Live" from their performance on February 7th at Beit Avi Chai. This is a great show (I was there) and you don't want to miss it. Reb Yitzhak refers to Greg Wall as the "Jewish John Coltrane!" Give a listen, and you'll hear why! Thursday will be our regular schedule of Lorelai Live in the afternoon, and Steve "Cookin' for Shabbos" by night, with a session with the Rebbe Nachman Chabura led by R' Ozer Bergman right there in the middle. ...and don't forget - all our Video/Radio shows are brought to you by Be There Israel (www.bethereisrael.com) - When your Simcha (event) is here (in Israel), and you family, friends are not -- We will broadcast your event live, in real-time all over the world. Bring your simcha to your friends and you bring your friends to you! 8:30 PM - 2 AM -- Steve "cooks for Shabbos!" Friday - we're still Cookin' for Shabbos, with the Not for Kids Only Childrens' Hour between 1 and 2:30 (no math requirement here!) and then we'll head down the road to Shabbos - Shlomo meets Jerry and a whole lot more! Now, after we recharge over Shabbos, we'll start all over again -- Motzoei Shabbos -- Melave Malke on the radio - Shlomo meets Saturday Night! And with all that's happening, we don't want you to forget Sunday Night Live! This week, between 8 and 11 PM Sunday Night Live with Steve and Lorelai (yes, Lorelai is back!) with featured guest Naftali Abramson!!!! ...and you thought it was Wednesday, and the week was over! Heh! the week has just begun!!!!! Good Shabbos, Good Shabbos, Good Purim, Good Purim, Good Shabbos, Good Shabbos. Sunday Night Live with Noah Lubin - "Watch Us On The Radio!" It's Sunday again - how did that happen? The Wheel is spinning it can't slow down, it can't let up and it can't stand still ... if the thunder don't get you than the lightening will! But until then: The Show Must Go On! Tonight 8pm Jerusalem Time our guest will be NOAH LUBIN, super-talented young singer/songwriter/performer and according to music industry vet Ronnie Vance (when asked on-air who he thought was a hot up and coming musician on the current Jerusalem music scene) said: Noah Lubin: Someone to Watch! Have you been watching us on the radio? 2:00 PM - Heart to Heart with Lorelai and her special guest, Yosef Ibn Mardachya -- talking about Yosef's book, Cannbis Chassidus -- what's that all about? Tune in and find out! 4:00 PM - The Returning Light with Lorelai and Benzion Lehrer -- talking about "cosmic" Torah!!! 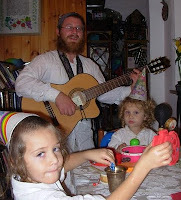 7:30 - 8:30 pm - Rebbe Nachman chabura with R' Ozer Bergman learning Likutei Maharan - on the video/radio -- all brought to you by our friends at Be There Israel -- www.bethereisrael.com - Streaming Video - when your simcha is in Israel and your family and friends are not!!! ...and of course, between the shows, music, music, music and then at 8:30 we begin "cookin' for Shabbos" - we start our preparations with H'ors D'ouvres and then the main meal (hmm, is this cookin' for Shabbos or eating for Shabbos?) will start at 10PM -- so stay tuned people, there's so much happening that if you blink you might miss it! It's Tuesday - "Let's play some of that rock and roll music!" It's Rock and Roll Tuesday at Radio Free Nachlaot. 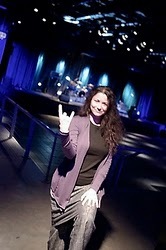 Maya will get us going between 11:00 AM - 1:00 PM with her special mix of that "rock and roll music", and then we'll top it off between 8 and 11PM, right after our Homegrown Hour (7-8PM) with "This is Rock and Roll," 3 hours (maybe more) that will be devoted to the music that we call Rock and Roll. 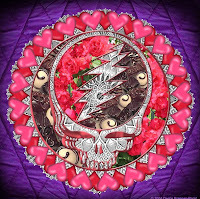 Hey, you never know what you'll hear, but believe you me it will keep your toes tapping, hips shaking, and and maybe even your head banging (i hope not too hard) -cause when all is said and done, "it's only rock and roll, but i like it!" 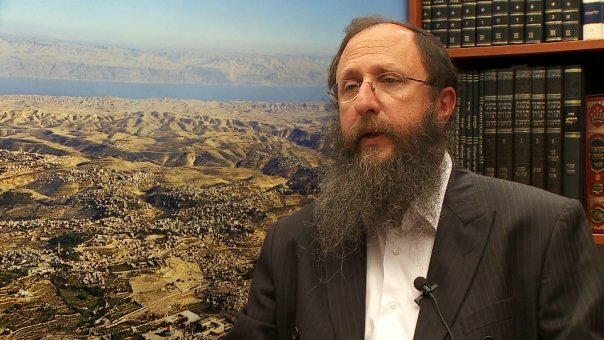 Special Announcement - Take Note: 5:00 PM Dovid Levine will be here to fill us in on the "Matzav" his program to create a Homeless Shelter in Jerusalem, which is in the running (in the top 10) to win a major endowment from Dell Computers. He is the only entry from Israel, and your vote will put him over the top. Dovid will tell us all about at 5 PM -- stay tuned, not only is this important, but he's Steve's nephew, you gotta give him a chance!!! - Thanks again to Be There Israel (www.bethereisrael.com) for video-casting today's show. Remember, when your simcha (or other event) is in Israel, but your family and friends are not, Be There Israel will bring the the party to them, live streaming video - REAL TIME, PEOPLE! -- go to our web site, and watch tonight to check it out!!!!!! ..and one last reminder - MARK YOUR CALENDARS: Sunday Night Live with Steve and Lorelai, this week, February 20. 2011 will feature: Noah Lublin. 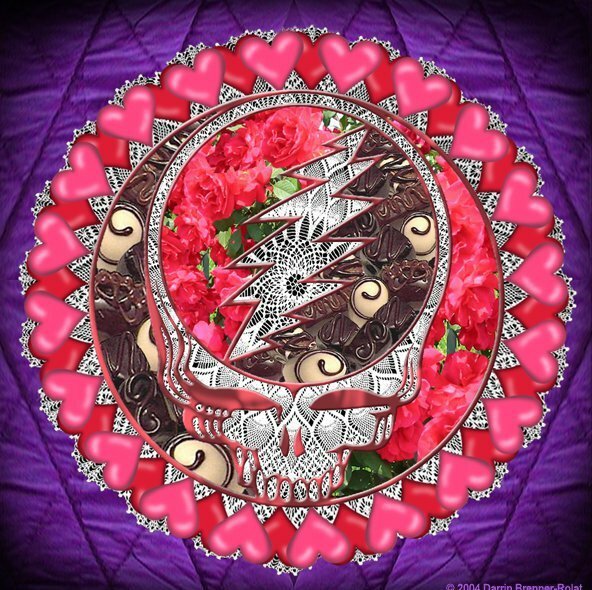 DEADICATE A Love Song for Tonight's Show! Boker tov, it's February 14th and that date rings a bell ... I can't remember exactly what or why but I'm thinking about chocolates and lace doilies ... true, we don't have "Valentine's Day" here in Israel. We have Tu b'Av - but that's not until summer! Baby, it's cold outside. Maybe we need some love to keep us warm (and bring us hot chocolate). 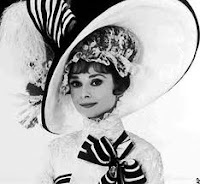 Tonight at 8pm on our "Not For Drag Queens Only Show Tunes Show" we'll be playing MY FAIR LADY, which is as romantic as it gets for those who adhere to the Pygmalion version of love as giving one's self over to another to be made over into the image of an impossible ideal. Gee, wherever did we get such an idea? So we're asking you, our loyal friends and fans, to DEADICATE a song to the One You Love. Send your DEADICATIONS to: radiofreenachlaot@gmail.com and we'll read them on-air tonight after 9pm Jerusalem time. For those who prefer the down-and-dirty version of romance, we're playing AEROSMITH "Unplugged" at 12:30pm today. Our "Israeli Soul" Afternoon musical lineup includes NESHAMA CARLEBACH and HABANOT NECHAMA. Of course nothing says "I Love You" like some good TORAH. We'll enjoy some "Temple Talk" with Rabbi Chaim Richman and Yitzchak Reuven at 1:45pm, Rav Sholom Brodt of Nachlaot's Yeshiva Simchat Shlomo at 3:30pm and Rebbetzin Rena Richman's "Bat Melech" Series continues with "The 10 Commandments: The Inside Story" at 5pm. From 5:30pm until 8pm we'll continue into the evening with music from Reb Shlomo and REBBESOUL - Lorelai's two favorite RebbeSoul Classics - "Fringe of Blue" and "Rebbe-Soul-O." 9pm - YOUR LOVE SONG DEADICATIONS (but this show won't happen unless you email us at: radiofreenachlaot@gmail.com and send us your DEADICATIONS!!! However you like your love, we're serving it up all day and all night long right here on Radio Free Nachlaot. Show us some love, why don't ya? Shavua Tov - It's Sunday and we're going Live!!! That's right! Once again, Sunday Night Live with Steve and Lorelai will be "Live" from Studio "G" (which stands for Gevaldt!) with special guests Shmuel Karo and Gabriel Barkat from Acharit Hayamim. Join us on the radio or on the video/radio between 8 and 11 PM. Thanks again to the folks at Be There Israel for bringing you tonight's show. Be There Israel - www.bethereisrael.com - when your simcha (or event) is here in Israel and your Family and Friends aren't - can bring your simcha to your worldwide audience just like Sunday Night Live is bringing us to you. For more information visit: www.bethereisrael.com. Good Shabbos, Good Shabbos Everybody! The week is rapidly flowing into Shabbos - Baruch Hashem -- 'cause busy aint the word for it! As you all know, our organic, homegrown, multicultural science project has been growing by leaps and bounds. Just review the past week of blog-entries and you'll see that we have moved into "Video Radio". It's kind of like peeking behind the screen of Radio Free Nachlaot and watching what you're hearing - scary, isn't it? Anyway, Shabbos is coming - time to turn all the mics, cameras and computers off and recharge! And what a parsha when it comes to recharging - Tetzave - Oil and Spices. The Bais Yaakov says that when there is no Koach left we need the Spices to be recharged. When do we know there's no Koach left? not when we're exhausted, but when we see that all is nullified before the Creator - which is Oil - the source of Fire -- so when we are connected on the Oil level, we can breathe the spices and be re-invigorated and recharged - just enough to carry on! Think about it -- we light Shabbos Candles (often with oil) when Shabbos begins, and then we make Havdala with spices, to restore us from the weakness caused when the Neshama Yetaira (extra Shabbos Neshama) leaves us - when Shabbos ends. It's all about the Oil and Spices. Hey, this sounds like a pefect intro for our friend Avrohoh Sand -- Mister Oil and Spices, himself!!! Anyway, Shabbos is Coming. Enjoy it! Motzoei Shabbos - Melave Malke on the Radio -- Shlomo meets Saturday Night. Sunday Night - 8PM - 11PM - Sunday Night Live with Steve and Lorelai, this week featuring Shmuel Karo from Acharit Hayamim. Monday Night; (Not for Drag Queens Only) "Show Tunes" Show -- Lorelai will play music for you thatYour Mother Should Know! Tuesday - 11AM - 1PM -Maya is on the Radio! 8-11PM - It's Only Rock and Roll (but I like it) - Steve's Rock and Roll Extravaganza -- Rock and Roll the way you need to hear it - with maybe even a live guest or two and some jamming to boot! 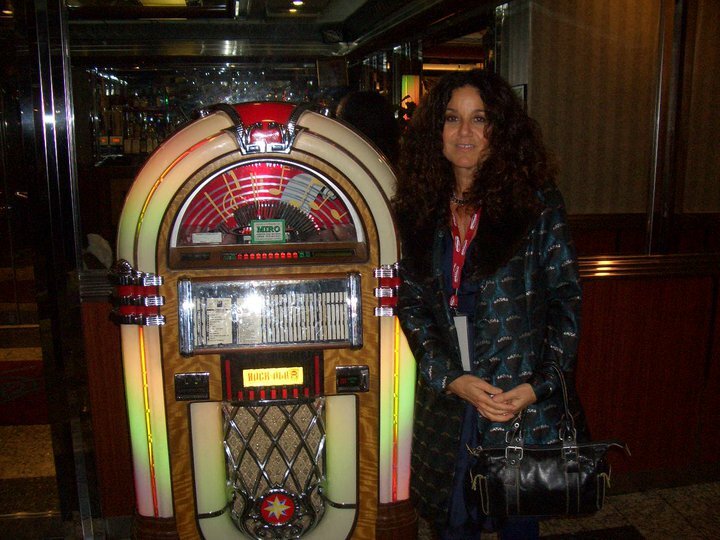 Wednesday -- 9PM - 11PM -- Maya brings her brand of Rock and Roll to the night time air waves. and then it's 8:30 and time to start the h'ors d'ouvres cause at 10 PM we start "Cookin' for Shabbos." Good Shabbos, Good Shabbos, all over again! We are having a full day at Radio Free Nachlaot - live programming, exciting guests, great Torah, and in keeping with the Adar theme, we also know ANYTHING can happen - and usually does - on a Thursday! At 12:30pm we're expecting our beloved rabbi Chaim Richman, Director of the International Department of the Temple Institute, to bring us a special message from his recent trip to the U.S.
At 4pm Benzion Eliyahu Lehrer and Lorelai invite you to step into the light with "The Returning Light," their show about the weekly Parsha in light of the Jewish year, the Hebrew calendar, Chassidus and the Zohar. It's a wild ride but worth sticking around for! Check out Benzion's site The Returning Light. 7:30pm tonight we're going to attempt yet another great leap forward in technology and broadcasting. Yes we will be broadcasting (as always) Ozer Bergman's Thursday Night Rebbe Nachman Chebura, live from Rehov Betzalel 23"A" (and you are MOST welcome to join us there in person). In addition to our regular radio broadcast we're going to attempt to broadcast live streaming video of the class itself via Lorelai's iPhone - because if anyone can do it, Rebbe Nachman can - but Lorelai will have to do a LOT of hibbodidut today to make it happen. Will we pull it off? Will Lorelai have TIME to do enough hibbodidut today? Have you SEEN her schedule, where is she going to get an extra hour in-between ANYTHING??? Wait and see - just stay tuned all day, enjoy the programming and cheer for us as we're cheering for you - GO, TEAM! What do you do when the British are Invading? Who do you call when you hear the man on the radio announcing "The Beatles are coming, the Beatles are coming? Well, you call your friends, and your family and anyone who's around and tell them that the Beatles are coming! And to where might they be coming? Well, to Radio Free Nachlaot, of course! 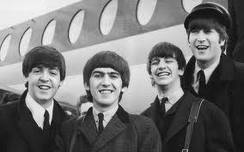 Tonight between 8:00 PM and 11:00PM we will celebrate the 47th anniversary of the Beatles first American T.V. performance on the Ed Sullivan Show (2/9/64). We've got plenty of Beatles music, and some Beatle Surprises, as well! Hey, who knows, maybe Rena will reprieve the famous "pomegranate story" for us-all. It's all happening tonight, Wednesday, February 9th people, so you better stay tuned - you don't want to miss it, now do you?!! Yes, it's Wednesday already! Let's not forget to breathe, people, let's not forget to breathe. Wednesday is Mit-Voch - Mid Week. It's not really Shabbos yet, but we do start saying "Good Shabbos, Good Shabbos" on Wednesday, because just in case last Shabbos is starting to wear off, we have next Shabbos coming quick to excite us, and lift us up. ...and while we're breathing, we should take a look around us, and just check out what the Heck is going on! Radio - Video - Video Radio - Streaming - Broadcasting - Real Time - All over the World - Music, Torah, talk -- it's all going on people, and it can only get better! That's right. Radio Free Nachlaot is just getting started. So keep in touch people - keep listening, and watching, and keep spreading the word around the whole wide world that Radio Free Nachlaot is your address for Intenet radio and tv! I guess i can say that we'll C Ya on the Radio, and you can C Us on the Video! TONIGHT on THE HOMEGROWN HOUR (7pm Jerusalem Time) - music from Moshe Weidenfield, Mendel Singer, Anaëlia Ben David, Yehuda Ledgely singing the songs of David Brinn, Greg Wall and the Later Prophets, Aryeh Kunstler, Susan Salidor, Jah Levi, Shmaya Silverman and Ron Kean. L'kavod the month of Adar (Aleph!) 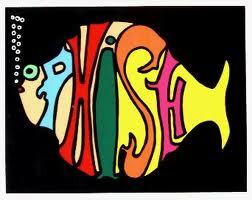 At 8pm we'll go PHISHING - or, as our Special Guest DJ says, we're going to be "Pheeding the Phish" with uber-Phishead (or is he a Phisher?) SAMMY OZIEL. 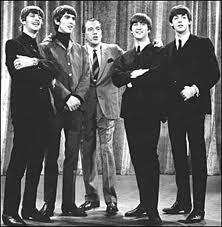 47 Years Ago this week The Beatles debuted on the Ed Sullivan Show - l'kavod that Zeitgeist-shattering event, tonight's "Show Tunes Show" features BEATLES MOVIE SOUNDTRACKS - A Hard Day's Night, Help!, Yellow Submarine, Magical Mystery Tour and Let It Be! The British Invasion starts at 8pm Jerusalem time tonight! Play that Reggae Music! It's Bob Marley's Birthday!!! Happy Birthday Bob Marley! Yes, today Bob Marley would have been 66 years old. We're going to celebrate Bob all day long - lots of Reggae music, lots of Bob Marley and the Wailers, lots of Wailers without Bob (kind of the way we are now - reggae minus Bob). And then, at 8:00 PM, we will turn our attention away from Bob and Sunday Night Live with Steve and Lorelai will feature Sharya Witt - student of Shlomo, singer of his songs -- we'll have music, talk and Torah with Sharya, and then - 10 PM - we will be live from New York direct to Israel via Skype with the Legendary Reggae DJ "The Night Nurse" - Amy Wachtel- Stay tuned, we'll be streaming audio and video so you can see what's going on!!! Be There Israel, when the action is over here, and you're not! check out http://www.bethereisrael.com/ to bring your simcha (taking place in Israel) to your friends and family who aren't able to be here -- Live Streaming Video - in real time - just like Sunday Night Live -- and hey, if you like Reggae music, stay tuned for tonight's BOB MARLEY BIRTHDAY SPECIAL Featuring The Night Nurse Amy Wachtel LIVE - 10pm Jerusalem time, 3pm New York time! If you're in Jerusalem this evening, please join us at the Jerusalem Comedy Club (the corner of King George & Ben Yehuda, downstairs from the Mashbir / Superzol) for a great CD Release Party! Our friend Bruce Burger - a.k.a. REBBESOUL - has created a very special tribute to the music of Reb Shlomo Carlebach - "From Another World." Gevaldt, everybody knows Reb Shlomo's music was from another world! He channeled the nigguns he brought down, they were directly downloaded from Heaven and he was the conduit. Join us at 9:00 PM(we'll be there with the radio, broadcasting the audio live as it happens) and come, please, in real life! Let's celebrate Reb Shlomo's music LIVE and in-person, together! It's Rock and Roll Tuesday, on Radio Free Nachlaot! Don't let the Jazzy morning fool you, we're going to rock and roll you, all day and all night long! We go from Lorelai's overnight mix to Santana;Benny Goodman; Andy Statman; and Bill Frisell and then at noon -- Maya in The Morning will become Mid-day Maya - bringing her take on music down on us til 2. Between 2 and 7 PM, anything goes (which means we don't have a clue yet) and then at 7:00 our Homegrown Hour, today featuring a lot of new music just received from friends all over the world. And then, (drum roll, if you will) at 8:00 PM we will have a visit from our friend (who Steve has dubbed ) Mr. Rock and Roll) David Berezin Bahr who has come all the way from NY to play Radio with us! I hear he has also brought some special Rock and Roll Records (or mp3 files) to play for us and the whole wide world! Yessiree, we're going to roll and rock you all day and all night long - which is just what we need to keep us warm while we enjoy another day of Jerusalem rain! Yea for the Rain! Yea for the Music. Yea for Radio Free Nachlaot! Yea FOR ROCK AND ROLL.